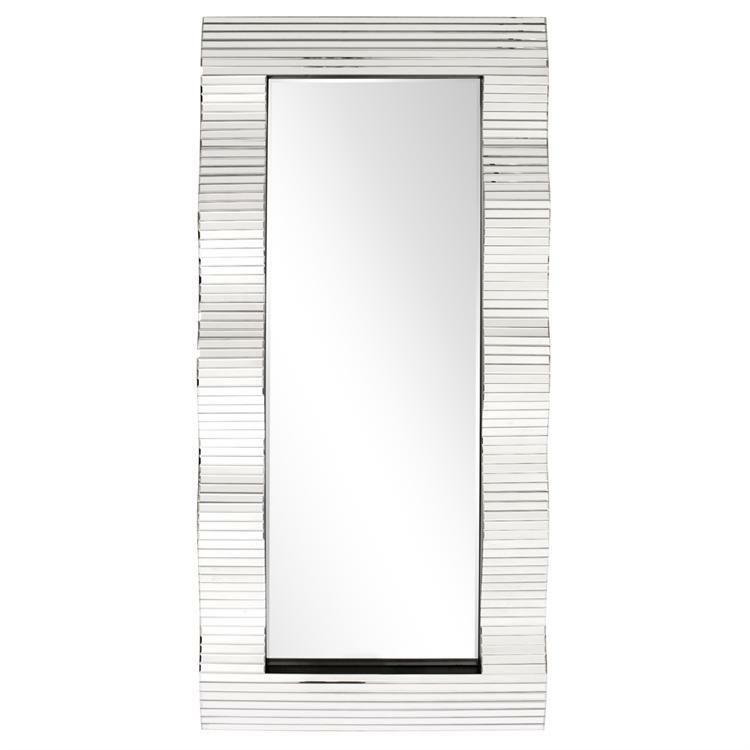 The Welch Mirror is a grand mirror featuring a large rectangular frame with a dramatic wavy effect. Horizontal mirrored tiles adorn the frame completing its Contemporary look. The mirror is beveled adding to its style and beauty. It is a perfect focal point for any design. The Welch Mirror can be hung in a horizontal or vertical orientation. And its large size also makes it a perfect floor mirror. Make any room instantly brighter and feel larger just by adding the Welch Mirror to the mix. Customizable for larger orders.